The Coral Sea. 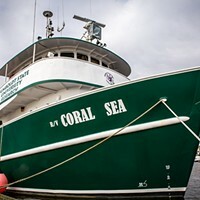 Glenn Miller built it in 1974 and outfitted the vessel to be a global expedition boat with its own helicopter. The Coral Sea sitting next to a U.S. submarine that surfaced in need of hull repairs. Glenn Miller, captain of the boat, was quick to aid them and received an award for his service. The treasure hunting crew standing in front of the ship's blowers, which are used to blow a large column of water down to excavate the sand. The ship's launching party in 1974. Glenn Miller decided to build the Coral Sea right after his other ship The Emerald tragically sunk. 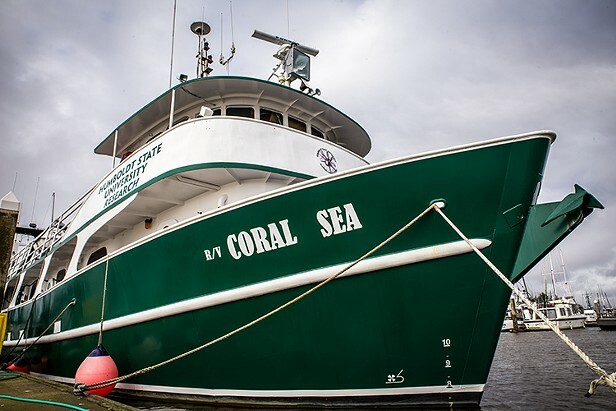 After the Coral Sea was seized by Florida authorities, Florida's Department of Natural Recourses, renamed it the Hernan Cortez II, extended the middle of the boat and repurposed it to be a research vessel. Mac the Diving dog was one of Glenn Miller's chosen mates aboard the Coral Sea. Miller made a few attempts to make Mac an entertainment icon, which involved Mac wearing a weighted belt and jumping into the ocean. 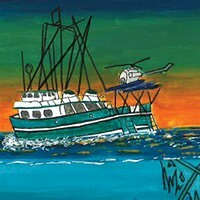 The Coral Sea was so luxurious it was featured in a White Stag diving catalog in the Channel Islands. The front of the Coral Sea featured in a 1978 catalog. A photo of the ship's wheel, which is still aboard the vessel to this day. A goggle page in the White Stag diving catalog features Mac the Diving Dog in the bottom right corner. 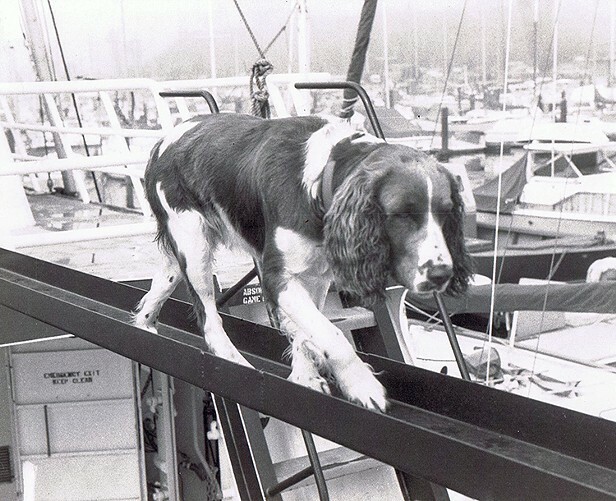 A photo of Mac the Diving Dog getting ready to dive off the end of a ship as a young pup.